Some sort of funny little robot thats zipping around carrying something expensive could be really fun and become almost legend if we can't catch it for a long time. I'd like it. It could be relatively simple, such as putting an on_death cue on several wilderness mobs and giving a 1/10000 (or whatever) chance of spawning said treasure mob when these regular wilderness mobs die. Treasure mob could be autoflee, all that fun stuff, and despawn in an hour if it isn't caught yet. If it dies, it spawns a treasure node randomly somewhere in the wilderness. Treasure node also disappears after a few hours if it isn't found yet. Or you can just make the mob drop the treasure node where it dies. It'd be a fun little minigame in the wilderness if players are really trying to kill time. Diversifying wildlife and their actions is cool, even if it doesn't amount to treasure gobs. Maybe there's a certain elusive creative with a cool aesthetic crafting item, like dye-able hides or some kind of fancy scaled lizard. Would be neat, and it wouldn't be immediately valuable it would require a pc who wants a rare, exotic looking hide for a piece of clothing to buy it off you. And it wouldn't unbalance the game with too many extra armor hides. ^ that's not actually a bad idea, but I think the admins still don't love prey in abundance. If there is going to be prey, it will be more akin to something that doesn't try to eat you instantly, but if you screw with it, it will ruin your day, your mother's day, your father's day, and your father's mistress's day. That and you would die. I think people took my analogy too much to heart. :p My point wasn't to make an RPI like Diablo, my point was to make some additions to the wilderness to make it more interesting to players other than "let's traverse across 50-something rooms without interacting with it at all to get some phat scav loots and waltz back". It seems to me some people are of an opinion that hunting could be made a lot more interesting if there were some extended rewards for adventuring out in the wilderness. I think Flincher14's suggestion was toward this overall goal, however well or poorly executed SOI did it. Adding in rare spawns like novelty animals that are extremely dangerous or not, "treasure hunts", or maybe mini-areas such as scaling a rocky outcropping (rock-climbing minigame?) could add a great deal of depth to an otherwise flat zone. 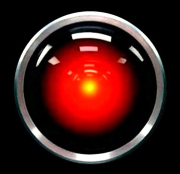 EDIT: With all due respect as well, I think it's fairly obvious to state that RPI =/= Diablo, HAL. That statement in itself does not make the "treasure goblin" suggestion invalid or credible. Diablo 3 wanted to add some diversity to the standard "oo there's a treasure chest lemme see what's inside" mechanic by making the treasure chests actually move - at an annoyingly fast rate at that. Prey animals need to give some kind of incentive, whether it be fancy hide trophies or something else like dropping scavenging materials. [...] my point was to make some additions to the wilderness to make it more interesting to players other than "let's traverse across 50-something rooms without interacting with it at all to get some phat scav loots and waltz back".